Shenzhen Kingspire Technology Co., Ltd.
SACAM IP CAMERA provides a complete home security solution, remote monitoring your home and send you motion detection alarm to phone. 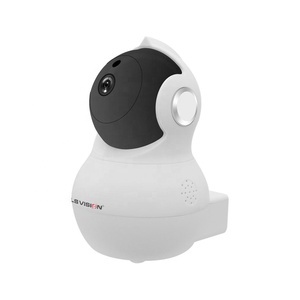 This security cam let you monitor sound and even lets you talk via its built-in 2-way walkie-talkie style audio system. 2- Software website: and shut down anti-virus software or windows firewall before installing computer software to your PC. 3. User manual We can put only customers' model number on the user manual by free of charge. 2. If the customers couldn't repair the products, the products need to be shipped back to us. To return a product for repair, please talk to our sales person for an RMA instruction. Shenzhen USC Technology Co., Ltd.
we have different customers from all over the world. battery operated series of DVR and Wi-Fi enabled hidden cameras that are PIR activated and motion activated to save battery life. Aimed at simply operation and easy install that everyone can use it. Stan (Shenzhen) Technology Co., Ltd.
Shenzhen Forever Galaxy Technology Co., Ltd.
7.Payment You can pay for the order via L/C,or T/T,Western Union,Paypal in advance. HK Post,by air,by sea; Collect via your own express account is available. Distinctive products and afterservice: 2 years warranty and new for RMA items. when any movements happens before the lens, it will alarm in your phone. Then you can instant see what is happening in your home, office, car or store. When the SD card is full, the newest video will overwrite the oldest one automatically. 3. Stable/ high speed internet connection. 4. True day/night ir colour camera with infrared. 5. Smart home & business usage. 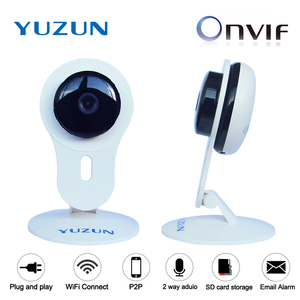 Alibaba.com offers 5,512 wireless surveillance cameras for home products. About 81% of these are cctv camera, 7% are cctv system, and 1% are video camera. A wide variety of wireless surveillance cameras for home options are available to you, such as vandal-proof, waterproof / weatherproof. You can also choose from cmos, ccd. As well as from mini camera, bullet camera, and hidden camera. And whether wireless surveillance cameras for home is ip camera, digital camera, or analog camera. There are 5,541 wireless surveillance cameras for home suppliers, mainly located in Asia. The top supplying countries are China (Mainland), Hong Kong, and Taiwan, which supply 98%, 1%, and 1% of wireless surveillance cameras for home respectively. Wireless surveillance cameras for home products are most popular in North America, Western Europe, and South America. You can ensure product safety by selecting from certified suppliers, including 899 with ISO9001, 697 with Other, and 32 with ISO14001 certification.